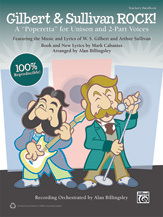 In this 30-minute 'show within a show;' a group of students prepares to present a fundraising concert of Gilbert and Sullivan's greatest hits---just as the actual icons magically appear from 'the great beyond!' The two witty and slightly curmudgeonly characters have much to say as they observe the show's dress rehearsal. The music is classic; but the fresh storyline embraces opportunities to discuss relevant topics for today's students; such as bullying and teamwork. 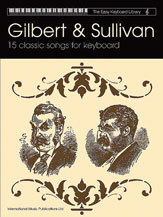 Enjoy sharing the silly sophistication of this timeless music set to a contemporary script.